Sauers & Tomasak: "THE FISHING CREEK CONFEDERACY: A Story of Civil War Draft Resistance"
Reliably Democratic in the antebellum period, east-central Pennsylvania's Columbia County went strongly for John C. Breckinridge during the 1860 presidential election. 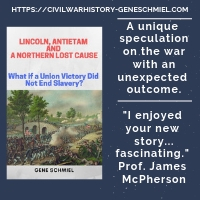 As the war dragged on into 1863 and beyond, manpower needs obtained through a series of drafts and the new war aim of emancipation led to rising civilian disaffection with the military and domestic policies of the Lincoln administration. By late summer 1864, panicked Republican citizens had sent word to authorities that hundreds of Columbia County "Copperheads" were organizing an armed resistance and had even constructed a fort in the rugged northern reach of the county. The spark that ignited military intervention was the nighttime shooting, and mortal wounding, of apparent provost marshal official James S. Robinson by alleged draft resistors. In August, a mixed force of infantry, cavalry, and artillery flooded the county, arresting several dozen civilians and incarcerating them in Fort Mifflin, to await military tribunal. They were charged with conspiracy to resist the draft, illegally shielding deserters, and secret society membership in the Knights of the Golden Circle. The subject of Union and Confederate conscription, and the local resistance movements both engendered, is part of a rising tide of scholarship. Richard Sauers and Peter Tomasak's The Fishing Creek Confederacy: A Story of Civil War Draft Resistance is a landmark contribution to this literature, and a wonderful Pennsylvania companion to Robert Sandow's equally groundbreaking Deserter Country: Civil War Opposition in the Pennsylvania Appalachians (Fordham, 2009). The authors begin their relatively brief, but information packed, study with a nice overview of Columbia County political society, with a spotlight on the event shaping impact of partisan newspapers. A short general history of the Civil War draft in the North is presented, before concentrating specifically on the county citizenry's reaction to the demands made upon them. Next, Sauers and Tomasak do their level best to wade through the evidence (much of it tainted by hearsay, partisan politics, personal animosity, and contradictory testimony) pertaining to the Robinson shooting. The organization and conduct of the army's intervention, or 'invasion' as the Democrats preferred, is then detailed. After covering the arrests and imprisonment of the presumed conspirators, each military trial is discussed [14 in all, 8 found guilty, 6 acquitted]. The government failed to prove that secret societies like the Knights of the Golden Circle had any role in the Columbia County draft opposition. The authors make a convincing argument that partisan newspapers were the most consequential forces behind both the military expedition and the post-war struggle to win the historical interpretation battle. The Republican press vastly exaggerated the activity, violence, and scale of resistance, prompting the disproportionate military response. After the war, the Democratic press claimed the legal and moral high ground. While the military trial convictions, often based on questionable testimony, centered on charges of resisting the execution of the draft in word and deed, there was clearly no organized "Fishing Creek Conspiracy" and, beyond the Robinson shooting, little in the way of armed opposition was encountered. However, their claims of no opposition were clearly disingenuous. Nevertheless, Democratic partisans felt vindicated by the 1866 U.S. Supreme Court decision that unanimously struck down the use of military courts in friendly territory with civil courts in session. Much of the strength of the book lies in its coverage of Fishing Creek and the post-war period. For decades, competing remembrances, truthful and invented, were employed as political weapons. Democratic participants and their supporters penned voluminous polemics for publication in newspapers and county histories. Even throughout much of the 20th century, much of the material was being perpetuation in print with little in the way of critical reevaluation. What resistance to the draft there was, was often struck from the record. On other other side, Republicans were able to 'wave the bloody shirt' at election time with some degree of success, associating their current opponents (regardless of evidence, or in spite of evidence to the contrary) with wartime Copperhead causes and conspiracies. In addition to the above mentioned historiography chapter, the concluding section attempts a final sifting through of the evidence pertaining to the main controversies. The exact circumstances surrounding the shooting of Robinson remain mysterious, but the authors made the rather startling discovery that Robinson actually was not employed by the provost marshal service (the very connection central to the justification of military force). According to the authors, no evidence of the man being anything more than a private citizen at the time of the incident exists. Why Robinson was there is open to speculation. As to the accuracy of Democratic claims that the intervention was politically motivated, Sauers and Tomasak remain unsympathetic. While the army could have preempted such claims by leaving quickly and not interfering with the October and November elections, the co-authors don't believe the source material available to today's researchers supports the contention that the operation was conducted with partisan political purposes in mind. Even so, it was interesting to learn that the congressional district containing Columbia County was not even in the state's top six in terms of percentage of draft evaders. In the matter of the alleged fort, none has ever been found, although Tomasak and his grandson mounted their own expedition that discovered traces of some kind of structure in the general area. The acceptable boundaries of government opposition in speech and action (and who sets those limits) has been an ever present bone of contention within democracies at war. A brilliantly executed microhistory, The Fishing Creek Confederacy comprises an original and important documentation and analysis of such dissent and its consequences. The following suggestions/complaints pertain mostly to the websites of small publishers and academic presses, as they are the ones I most frequently visit. 1. Better site search capability. If I had a dime for every time I typed in exactly worded title and author names only to get a 'no results' message in return ... You know the page exists because you can get there through Google or a sometimes labor intensive site browse search, so why these search boxes are so often useless is beyond me. 2. More frequently updated release day information. Most product webpages never update the original release date. With actual dates increasingly missing projections by wider and wider margins (or at least it seems that way from my observations from 2005 to today), some effort should be made to periodically reset them. It's frustrating to visit an unpublished title's page in October and see the release still set at February of the same year. Users are also frequently left unable to discern whether a past pub-date book is truly available or not. For every site that incorporates a preorder button or a' forthcoming' tag, there is another that provides no notice either way. 3. Keep product links "alive" longer. Early on, I was happy to link my reviews and other posts to the dedicated product pages of publisher websites, but quickly switched the practice to just general home page links due to the epidemic of expired URLs. My posts are designed to be more or less permanent and non-fiction history books have a long shelf life, so I have no desire for the CWBA site to be filled with dead links. I think it would be beneficial for all involved to have links to book pages remain the same for as long as possible while the book transitions through its publishing life cycle. At this point, the e-commerce sites do a far better job of informing prospective buyers of the content of books than the actual publishers do. Some outliers offer useful things like videos and sample chapters and maps, but the overwhelming majority just go with the traditional cover art and product description (the latter varying widely in the qualitative summarization of actual content). At a minimum, I would like to see a full table of contents for all non-fiction titles. I've yet to see anyone allow consumers to view or download the bibliography, but have often thought that might be a marketing tool of promise for niche titles. Would that be viewed as 'giving away too much'? In my opinion, no. Time is money, and most small publishers are stretched as it is, but the above seem (outwardly at least, to me) relatively inexpensive ways to improve the consumer experience of surfing publisher websites. Melton: "THE BEST STATION OF THEM ALL: The Savannah Squadron, 1861-1865"
In recent years, academic Civil War publishers have taken a real shine to the sub-200 page study, but there will always be room for the massive tome. 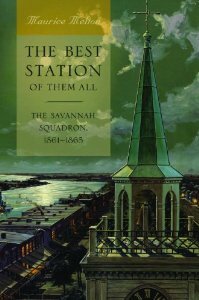 Maurice Melton's The Best Station of Them All: The Savannah Squadron, 1861-1865 is certainly that. With Confederate naval squadron studies so rare [the only other full length work being John Coski's excellent Capital Navy: The Men, Ships, and Operations of the James River Squadron (Savas Woodbury, 1996)], when a historian's rare vision meets rare opportunity it is more than appropriate that no effort be spared. This study is clearly a project near and dear to the author, and University of Alabama Press also deserves a great deal of credit for offering Melton such free reign. Though it was organized and built for the protection of one of the South's premier deep water port cities, the Savannah Squadron actually saw little in the way of heavy combat let alone brief periods of dramatic action. The early U.S. capture of port guardian Fort Pulaski severely limited the squadron's range of operations, primarily to a short stretch of Savannah River below the city and a number of rivers, creeks, and bayous surrounding a handful of adjacent sea islands. Beginning with the Savannah Squadron's origins as a state navy composed of weakly armed converted steamers, Melton describes 1861-64 operations afloat, as well the actions of those responsible for planning, supporting, and executing them, in minute fashion. Although the roles of the auxiliary steamers (e.g. Isondiga, Sampson, Resolute, Firefly, and Macon) are fully fleshed out, the major focus is upon the ironclad vessels. The story of the CSS Atlanta, from its beginnings as the blockade runner Fingal to its ironclad conversion and embarrassing surrender to Union monitors after running aground in 1863, is related at length, as is that of the CSS Savannah. The Milledgeville was never completed, and the disappointing Georgia only serviceable as a floating battery. Beyond the Atlanta's brief and disastrous foray, none of the other armored vessels were able to engage enemy blockading vessels in any meaningful way, and all were destroyed after the city surrendered to Sherman's approaching army in 1864. The squadron's one bright moment, the successful small boat boarding assault and capture of the blockader USS Water Witch, is presented at great length over several chapters. Melton also covers the squadron's efforts to deny the Union army use of the ferry crossings far upriver from Savannah (as well as the skirmish at Argyle Island in December 1864). The squadron's war did not end with the destruction of its ships, however, and the book continues with accounts of the sailors's land service at Augusta, Charleston, and Wilmington before finally meeting their end at Sailor's Creek in Virginia. In the book, there is little in the way of sociological study of the crews, but the biographical material for the officers (men like Josiah Tattnall, William McBlair, William Webb, Thomas Pelot, J.T. Scharf, and a host of others) is first rate and another of the book's major strong points. It is also through these men that readers become most acquainted with the civilian population of Savannah. Melton also describes the frustrations felt by a succession of squadron commanders, as they witnessed a constant stream of competent officers and trained sailors transferred to other commands. Instead of a destination posting, Savannah was treated like a manpower reserve for Confederate European naval missions and the Charleston and James River commands. What's missing is a more strategic level analysis of the merits behind the CSN's port defense policy of constructing and operating expensive, resource grabbing ironclad fleets in restricted waterways with little opportunity to actually engage the enemy. It is worth discussing if a combination of land defenses, waterway obstructions, and torpedoes would have had the same effect of ironclad fleets in being bottled up in southern ports. An inland shifting of construction and shipping resources (to the Mississippi Valley for instance) might have created a more effective opposition to the Union's Brown Water Navy. More information about the army's cooperation with the squadron would also have been enlightening. A number of forts and batteries are mentioned, but only in passing. Finally, the inclusion of only two small maps is a source of significant disappointment. Rich in primary sources, the bibliography is outwardly impressive. The book's presentation is attractive, with numerous photographs and line drawings of each ship attached to the squadron. The Best Station of Them All is really a monumental achievement of Confederate naval scholarship. It touches quite usefully upon a great variety of subjects. On the Confederate side, Melton's study bridges a significant gap in the military history of Civil War Savannah and materially adds to our knowledge and understanding of Confederate shipbuilding technology, industry, and blockade running. It also comprises an important supplement to existing works, like those of Robert Browning, detailing the Union naval blockade and amphibious operations along the Confederacy's Atlantic coast. Highly recommended. I haven't read anything that examines President Buchanan's life in full [it appears that Phillip Klein's 1962 biography remains the standard work], but modern studies of antebellum legal history, Bleeding Kansas, and the Secession Winter period can barely manage a polite word about Old Buck, much less something positive. The price is pretty frightening, but I hope to obtain a copy of the soon to be released essay collection James Buchanan and the Coming of the Civil War , edited by John W. Quist and Michael J. Birkner (Univ Pr of Florida, March '13). Follow the link for the table of contents, which indicates a nice coverage of the issues. 1. Morgan's Great Raid: The Remarkable Expedition from Kentucky to Ohio by David L. Mowery (The Hist Press, 2013). On the surface, this looks like the Great Raid overview that many readers have been hoping for for a long time. The 25 maps, alone worth the price of the book, are works of art in addition to offering all the features that demanding readers desire. 2. Searching for George Gordon Meade: The Forgotten Victor of Gettysburg by Tom Huntington (Stackpole, 2013). Huntington's book has a dual focus: a history of Meade's military career and a traveling exploration of Meade's current stature in popular culture and related institutions. 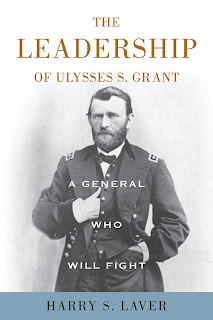 Laver: "A GENERAL WHO WILL FIGHT: The Leadership of Ulysses S. Grant"
No informed person still subscribes to the old view of General Ulysses S. Grant as a ruthless "butcher" who relied only on superior numbers to gain victory. At this point in history, his star is as high as his admirers could hope. Grant's positive traits are well known and well explored in the literature. He was clearly one of the best (if not the best) Civil War practitioners of the operational level offensive. Among other things, he wrote clear orders, worked well with others (from the civilian leadership to army subordinates and naval partners), and rates high on military judgement, self confidence, and initiative. The word 'determination' is also often trotted forth as a key element in the general's command success, but author Harry Laver in his book A General Who Will Fight: The Leadership of Ulysses S. Grant prefers the term analytical determination, a more rigorously thoughtful quality different from and above mere stubbornness. How this concept (by the author's interpretation, a Clausewitzian "force of will"-type equivalent) is expressed in Grant's military leadership is the focus of Laver's work. From Belmont, Forts Henry and Donelson, Shiloh, Vicksburg, and Chattanooga in the West through the Overland, Petersburg, and Appomattox campaigns in the East, the author sticks to his self imposed mandate of viewing the general's military career through his best trait, analytic determination (although it is difficult to regard analytical determination as a single entity given that it involves something of all the elements mentioned above). A few factual errors pop up here and there, but the book's command level overview of Grant's campaigns and battles is sound. In each, Grant is a careful planner, forcefully marshaling the human and material resources under his command (all the while, accepting the limitations of both), relentlessly driving the whole toward the achievement of his goal, while at the same time always calculating and remaining flexible on the details. That said, the study is a balanced examination with appropriate criticism also directed toward the general. For example, most readers are familiar with the story of Grant chastising his Army of the Potomac subordinates for always fearing what Lee would do them rather than what they would do to Lee, but Laver properly criticizes the early war Grant of Belmont and Shiloh for not worrying enough about what the enemy might do. He also upbraids the novice general for losing control of his command at Belmont. Laver also recognizes the self serving nature of many claims made by Grant in his Memoirs (e.g. spinning Belmont as a victory, Shiloh not being a surprise, characterizing failed and potentially disastrous operations north of Vicksburg as being "experiments" with no serious expectations). The book might also have better explored the danger to his own army of Grant's sustained aggressiveness. Laver joins the rest of modern Civil War writers in properly denouncing the old "Grant the Butcher" arguments, but it remains that, during the constant marching and fighting of the Overland and early stages of the Petersburg campaigns, parts of the army were ordered to continue offensive operations long after being rendered combat ineffective. Some, like elements of II Corps on the left flank at Petersburg, essentially collapsed under the strain. If previous commanders deserve censure for underestimating the fighting capacity of the Army of the Potomac, Grant must also bear the responsibility of sometimes pushing it past the limits of endurance. Laver, and many others before him, have noted that Grant benefited greatly from a gradual ascent to the highest levels of military command -- a brigade sized force at Belmont, corps equivalent at Donelson, and medium sized armies at Shiloh and Vicksburg before hitting the big time at Chattanooga and the eastern campaigns -- but there is a bit of an underappreciated corollary to this. At each stage of his development, Grant was semi-independent (rather than leading brigade, division, and corps commands under the immediate thumb of a superior) so he had an even better and more thorough school of command, in terms of true responsibility, than other army leaders that rose through the general officer ranks. Grant's relationship with the navy is an underutilized aspect of Laver's argument. It should never be forgotten that Grant could not directly command the U.S. Navy to do anything. Forts Henry & Donelson and Vicksburg are always characterized as Grant campaigns, but, by all rights, they should really be referred to as Grant-Foote and Grant-Porter campaigns, as each branch was independent of the other and the naval element was absolutely essential to both. One can use this to diminish Grant's achievements, but, alternatively, one might marvel at Grant's ability to inspire loyalty and cordial cooperation between the branches. A cursory look at other examples of Civil War joint operations, where mistrust, hostility, and friction were often the norm, demonstrates just how rare this gift was for an army commander to have. The bibliography is made up entirely of published sources, which is okay for this type of book, but it's a bit light. When authors make sweeping judgements within works of synthesis, one expects a wider reading of the secondary literature and knowledge of the more detailed material than found here. For example, there is no Bearss or Grabau for Vicksburg, only the general works of Ballard and slim introductory volumes from McWhiney and Osprey series. The situation for Shiloh is better, but none of the major Chattanooga, Overland, or Petersburg campaign studies are listed. Reading Gordon Rhea's Overland Campaign series would have saved the author from perpetuating some outdated assertions (Laver even reduces Union army Cold Harbor losses from 7,000 men in 20 minutes to 10!). Overall, while one can quibble with some of the facts and interpretations presented, A General Who Will Fight does clearly and effectively address the key reasons why U.S. Grant was such an enormously effective Civil War commander, the author combining the best of these into a single trait he calls analytical determination. Readers and scholars that have closely studied Grant's military career will not find any real surprises or particularly original advances, but the book really does encapsulate well what made the general truly great. If you are a subscriber to Blue & Gray Magazine (or a BN mag browser), check out the battle maps on pages 60 and 61 of just arrived Issue XXIX, #4 [Chancellorsville Action from April 28-May 2, 1863: Danger in the Dark Woods by Frank A. O'Reilly]. Both are truly striking full-page images of one of the most bizarre and dramatic moments in any Civil War battle. That's some impressive unit density (and these are early 1863 sized regiments not the skeletons of 1864 onward) as well as research dedicated enough to confidently position them all. Potter: "STANDING BY THE FLAG: Nebraska Territory and the Civil War, 1861-1867"
James Potter's Standing Firmly By the Flag began life as a history of the 1st Nebraska Volunteer Infantry before morphing into a more general political and military history of the territory during the Civil War and the two additional years of postbellum wrangling that ultimately resulted in statehood. With no trans-continental railroad in 1861, Nebraska trails, way stations, and telegraph lines served as vital transportation and communications links to the burgeoning western population and economy. All were suddenly vulnerable with the outbreak of Civil War and the departure of regular army garrisons. To protect the territory from Indian raids, the 1st Nebraska Volunteer Infantry was recruited. Led by Republican politician and experienced Indian fighter John Milton Thayer, the unit was almost immediately sent out of state, to the consternation of the recruits, most of whom enlisted with the understanding that they would be protecting their homes. Before they left Nebraska, several companies did perform valuable service in the SE corner of the territory, patrolling the frontier against rumored Missouri raiders and calming the nerves of citizens and businessmen in Omaha, Nebraska City, Plattsmouth, and Brownsville. With the entire regiment assembled and organized, the 1st headed to Missouri, where it spent the balance of 1861. More active campaigning came in 1862. The Nebraskans fought at Fort Donelson and day two of Shiloh, before returning to the Trans-Mississippi, operating in Arkansas and Missouri. In late 1863, out of response to continued complaints about the sorry state of home front defense, the regiment was reorganized as a cavalry regiment and transferred to the plains. An acceptable summary of these operations is offered in the book, but readers looking for the type of detailed accounts one finds in dedicated regimental histories will have to await a future study. Like other scholars studying Union mobilization in the territories and Far West states, Potter highlights the difficulty of obtaining recruits in a sparsely populated region with good economic prospects. Freight forwarding paid monthly wages three or four times what an army private could expect, and western gold fields remained a constant enticement. Even so, with Indian raids and massacres occurring at an alarming frequency along the western trails, men were motivated to join Nebraska units in addition to the 1st infantry. Their organizational and service histories are also summarized in the book. A battalion of cavalry was formed early on, merging with the 5th Iowa Cavalry in December 1861. Another mounted unit, the nine-month 2nd Nebraska Volunteer Cavalry (Colonel Robert Furnas), ended up serving for a year on the plains of western Nebraska and Dakota Territory. Mustered out in October 1863, a number of men reenlisted as the 1st Battalion, Nebraska Veteran Volunteer Cavalry, which was consolidated in 1865 with the 1st Cavalry to form the 1st Nebraska Veteran Volunteer Cavalry. One of the most enlightening aspects of the book is its detailed examination of the pro-territory vs. pro-state factions in Nebraska, which largely came down on partisan political lines (Democrat vs. Republican/Union parties). That a territory would actively thwart statehood would probably surprise most modern readers, but Democrats successfully did so during the war years. Territorial expenses were paid by the federal government and politicians effectively argued that it would be too expensive in taxes for Nebraska to pay its own way with such a small population. Like Colorado, Nebraska came in below the minimum population for statehood, although that did not stop Nevada. Democrats wished to time statehood at a hopeful future date where they could reap the benefits of patronage and legislative majorities, but that was not to be, with Republicans becoming more and more powerful as time progressed. At times it was close, though, with Potter making a persuasive case for the likelihood that a key close election was decided by fraud (valid Democratic votes were thrown out and Iowa soldier votes in a Nebraska military unit were counted). Another lengthy, and strongly presented, section is contained in the final chapters, the post-war stretch run to statehood 1865-67. During this period, Nebraska became part of the national debate over Reconstruction. Lacking modern polling, it is impossible to say whether the majority of Nebraskans supported "white only" voting rights (the book only offers the loudly partisan views of newspaper editors and politicians) but the issue was a big sticking point in the territory and in Washington D.C. Being more immediately concerned with the addition of two more Republican senators, many conservative Republicans were willing to let exclusive white voting in Nebraska stand, but radical Republicans wanted no race restriction on suffrage and wished to use the requirement as a model for readmission of the ex-Confederate states. Others, including most Democrats, were outraged that the federal government would seek to interfere with a state defining its own suffrage limits. Nevertheless, over President Johnson's veto, the admission bill was passed and Nebraska became a state on March 1, 1867. With the peacetime fruits of the Homestead Act and the completion of the trans-continental railroad, population and prosperity increased. Standing by the Flag: Nebraska Territory and the Civil War, 1861-1867 deserves a great deal of credit for taking on a subject previously unexamined. In effectively doing so, it significantly enhances our knowledge and understanding the Civil War west of the Mississippi. Other works have investigated the conflicts on the western plains of Nebraska with various Indian tribes, but Potter's book offers context and background not found elsewhere (at least not in one place). Given that Nebraska's Civil War soldiers still have no dedicated histories of their service in the various units raised, one hopes that Potter will someday see fit to revisit his original vision and attempt a regimental study of the 1st Nebraska. If he does not, Standing by the Flag at least offers prospective scholars a head start. Even more than its military history aspects, the book is valuable for its portrait of territorial politics in a Civil War context. Potter's work should also occupy a useful niche in the Reconstruction literature. This is something different. The Civil War irregular warfare literature, especially the popular stuff, concentrates far more on guerrilla groups and leaders (and their victims) than it does on those military units assigned to root them out. Not having read his previous overview study Guerrillas in Civil War Missouri (2012), I don't know what level of work to expect from the author of Guerrilla Hunters in Civil War Missouri (March 2013) but I plan to find out. 1. The Prairie Boys Go to War: The Fifth Illinois Cavalry, 1861-1865 by Rhonda M. Kohl (Southern Ill. UP, 2013). I am really looking forward to reading this regimental history of an Illinois cavalry regiment's exploits in Arkansas and Mississippi. Hopefully, it will shine light on some understudied events in the West and Trans-Mississippi. Kohl also promises a cultural study of the men of the 5th. It is rare that a unit study attempts both detailed service history and insightful social examination. 2. A New Southern Woman: The Correspondence of Eliza Lucy Irion Neilson, 1871-1883 edited by Giselle Roberts (Univ of S. Carolina Pr, 2013). This edited collection of 130 letters offers readers a view into the process of a Columbus, Mississippi family's adaptation (and creative contribution) to the new social, gender, and economic realities of the post-Civil War South. 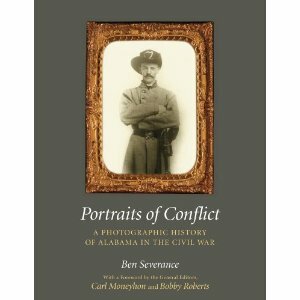 Severance: "PORTRAITS OF CONFLICT: A Photographic History of Alabama in the Civil War"
Ben Severance's Portraits of Conflict: A Photographic History of Alabama in the Civil War is Volume 10 of University of Arkansas Press's award winning series. After 25 years, the project is still going strong, unwavering in its commitment to quality. In this collection are nearly 240 CDV-style soldier and civilian portraits. The rest comprise photographs of flags, public gatherings, and buildings. The book is organized by theme, each beginning with a rather extensive narrative introduction. As with the other books in the series, the first chapter covers basic terminology and a brief overview of what is known about the who and where of Alabama photographers. Other chapters summarize, by theater and/or army in roughly chronological order, the prominent campaign and battle contributions of various Alabama units. The antebellum period, the Civil War home front, and Reconstruction subject matters are also explored in dedicated sections, as is the important blockade running port of Mobile [the last not surprising given that the originator of this project was the late Art Bergeron]. Each oversized page has a photograph and a sourced caption, the latter of varying size, with many quite substantial in length. The limitations of the format in providing a fully representative cross section of Alabama citizenry and soldiers are obvious. In addition to the image itself, enough source material must exist to provide a compelling portrait of the individual, meaning that officers will be overrepresented, as well as middle and upper class civilians. Nevertheless, a large number, maybe even the majority, of featured individuals are rather lesser known persons. Image and caption, in combination with the chapter introductions mentioned above, do comprise something of a rounded history. 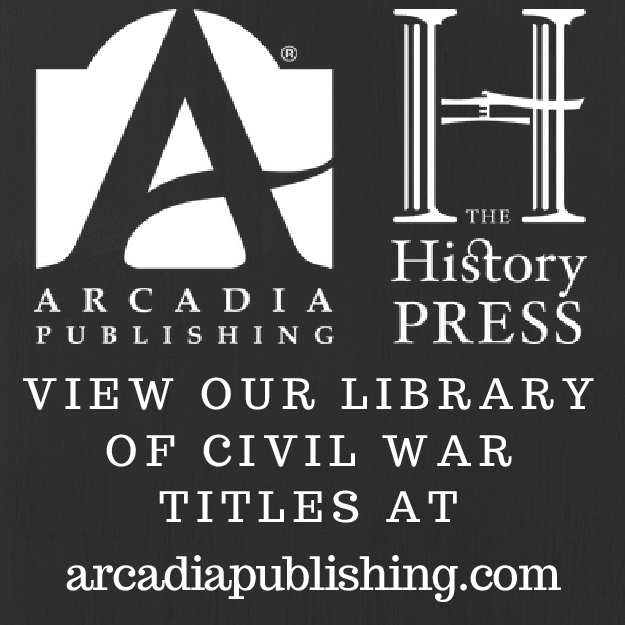 The narrative offers a big picture view of Alabama's Civil War while the text accompanying each photograph offers a great range of more personalized perspectives from both sides. In addition to highlighting Unionist and Confederate Alabamiams, prominent U.S. military leaders from other states, but with deep involvement in the war inside Alabama's borders (General Lovell Rousseau and Admiral David Farragut, for example), are also present. Black legislators from the Reconstruction period are included, too. Quality construction materials were used, from cloth binding to the heavy, glossy paper stock expected from the better photographic studies. While weight and size dimensions can be a bit unwieldy for the reader, they do allow details to appear in sufficient size for close study. As one might expect, image quality is all over the map, with some source photographs remarkably clear while others are faded copies of copies or badly deteriorated from abuse, wear, or poor storage. In the main, it is truly an impressive collection and certainly unique in scale. Over the years, the series editors have done a fine job of maintaining a consistent quality, wedded to their established format, and Severance's contribution certainly fits well within the tradition. Students of Civil War photography will appreciate this book, as will those with a more specialized interest in Alabama's people and their war. I was wondering why it was taking so long for Blue & Gray to update their sneak preview page, and the mystery only deepens. They've covered a lot of ground in the past 30 years, so I will be curious to see why they've turned this particular issue into something of an event. As I am always the last person in the country to get my issue in the mail, please spoil the surprise for me. 1. The World's Largest Prison: The Story of Camp Lawton by John K. Derden (Mercer UP, 2012). Opened in October 1864 and closed only six weeks later, Camp Lawton was a massive Georgia POW camp and administration center. Derden provides both a history of the prison and discussion of recent archaeological finds. 2. Bucking the Railroads on the Kansas Frontier: The Struggle Over Land Claims by Homesteading Civil War Veterans, 1867-1876 by John N. Mack (McFarland, 2012). This study details the conflict between Civil War veterans who settled in Kansas after the war and the large railroad companies that claimed their land. The author argues that the success of the homesteaders helped shape the political environment of Kansas and the West in general. Bearss & Suderow (ed. ): "THE PETERSBURG CAMPAIGN - Volume I: The Eastern Front Battles, June - August 1864"
Readers familiar with the Centennial-era works of legendary NPS historian and battlefield guide Ed Bearss will find instant comfort in the content and style of the chapters contained in The Petersburg Campaign - Volume I: The Eastern Front Battles, June - August 1864. During that immensely productive period, Bearss authored a flood of journal articles, books, and internal documents like those now available in this study. In the 1950s and 60s, Bearss was tasked with the creation of Historical Base Maps, Troop Movement Maps, and interpretive aids for many battlefields stretching across all three major theaters of war. Some of these, like the wonderful Wilson's Creek and Five Forks (with Chris Calkins) manuscripts, were published, but others, including the Petersburg documents, remained in park files. This is where Civil War researcher and author Bryce Suderow and publisher Savas Beatie enter the picture, editing and updating the original writings and packaging them in a useful volume crammed with photos and maps. The content of this first of a two book set begins with the failed attack (Quincy Gillmore's) on the Petersburg defenses on June 9, 1864. Succeeding chapters cover the June 15 - 18 assaults, Jerusalem Plank Road (June 21 - 24), the July 30 Battle of the Crater*, the Weldon Railroad (August 18 - 21), and the August 25 Battle of 2nd Ream's Station. The writing itself is classic Bearss, clear and straightforward tactical narrative at the regimental and brigade levels. Terrain discussion is brief, but detailed enough to provide readers with a solid sense of how the natural and man-made landscapes affected decision making and conduct of the battle. First person accounts are woven into the text, but layered analysis and extensive background information are eschewed in favor of a more minimalist descriptive approach in keeping with the original assigned task. In guiding this project along toward publication, Suderow has done more than the typical manuscript editor's job. In addition to transcribing and arranging the text, he applied his own introduction and conclusion to each section and standardized the footnotes. Suderow also bridges gaps in Bearss's coverage of events. For example, the text accompanying June 16 and 17 actions in the "Second Assault on Petersburg" chapter is authored by the editor and effectively serves as both gap filling content and effective transition between Bearss pieces. Complaints include a number of typographical errors and basic math mistakes in the loss tables located in the Afterword. Sequential orders of battle, something similar to what Bearss did throughout his Vicksburg Campaign trilogy, are unfortunately absent here, where they would have been similarly useful. The 23 maps by noted cartographer George Skoch are one of the brightest features of the book. Together, they comprise a nice map study of the most important events. Relevant terrain features of the Petersburg battlefield(s) are satisfactorily presented in the drawings, as are troop positions and maneuvers (mostly at brigade level). With much of Bearss's early career material remaining unsurpassed by present scholarship, it is gratifying to see a part of his unpublished work exposed to the public readership for the first time. It's also packaged in a manner worthy of the cause. 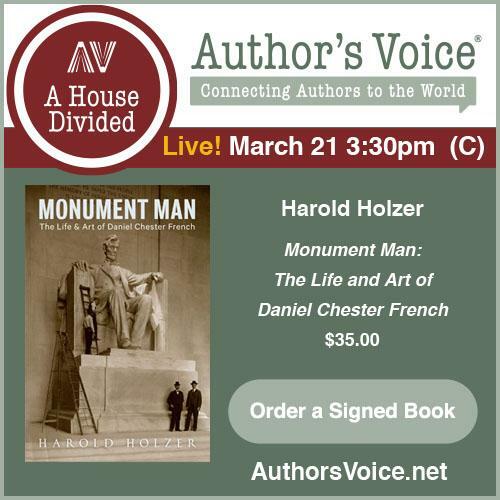 The publication of this volume is a very noteworthy event for Petersburg students, and the release of the second book later in 2013 is much anticipated. * - Bearss did not do a Crater history for the NPS, so Patrick Brennan was commissioned to fill this particular gap in the book's coverage. John Hunt Morgan's 'Great Raid' needs a good history. I'll never understand the continued admiration for the Horwitz book, but maybe it can be put to rest with this new study, David Mowery's Morgan's Great Raid: The Remarkable Expedition from Kentucky to Ohio (The History Pr, Feb '13). The author bio (see the link) leads one to believe he just might be the right man for the job. I would also be interested in the other book he has in the works, Morgan's Raid Across Ohio: The Civil War Guidebook of the John Hunt Morgan Heritage Trail (Ohio Historical Society, 2013).